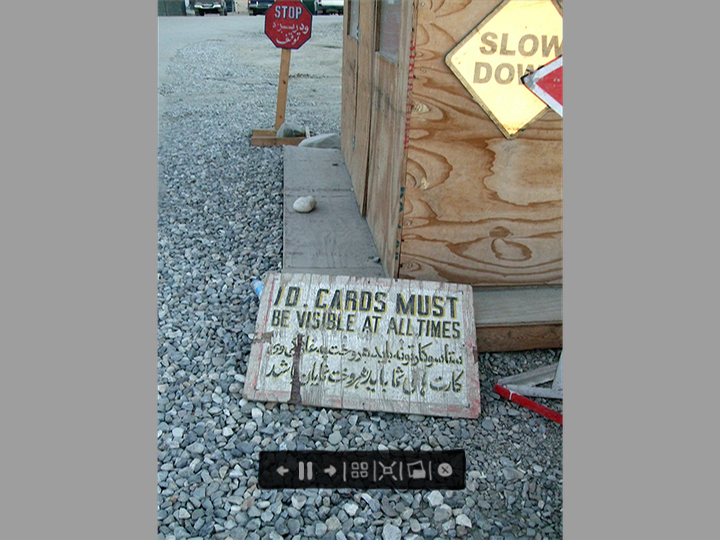 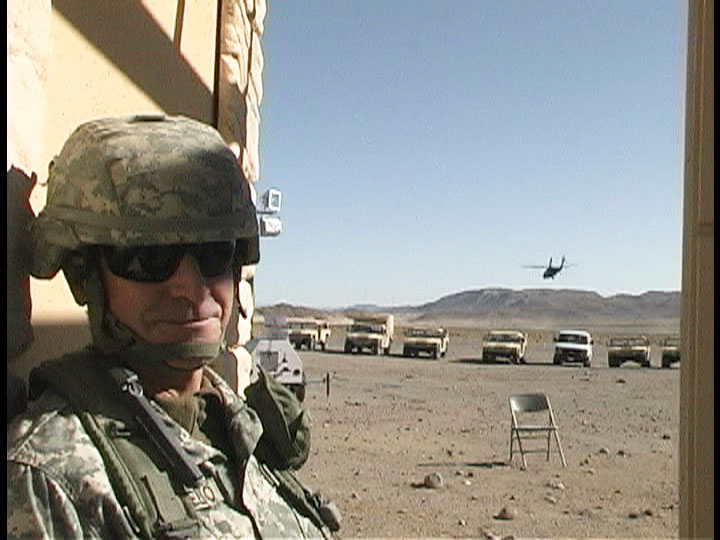 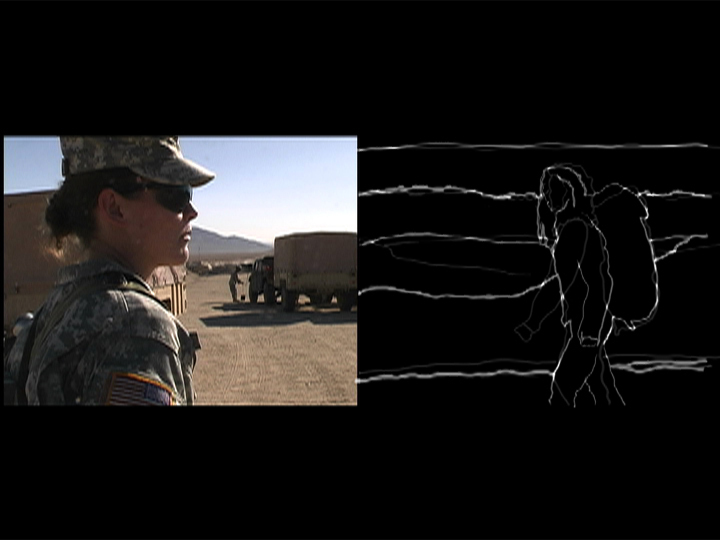 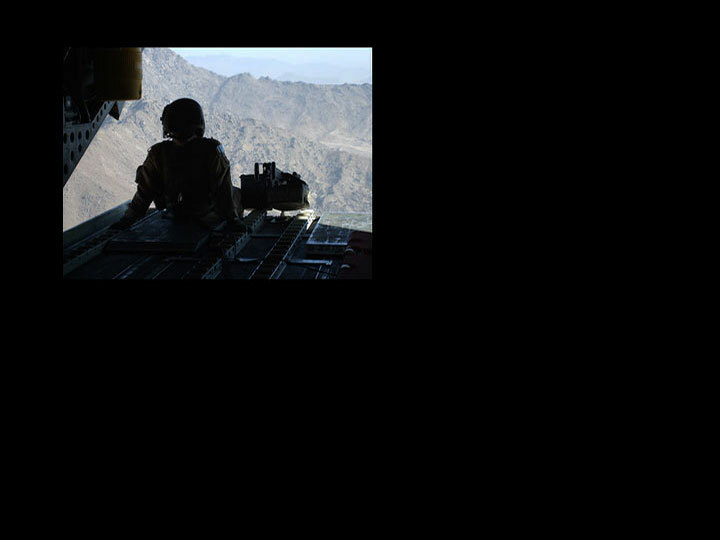 FIRST ASSIGNMENT is a feature-length collection of video-performances, which examine the role of “media embed” within a unit of US servicewomen in training (The National Training Center, Fort Irwin, California), deployment (Jalalabad, Afghanistan), and after their return home (Fort Hood, Texas). 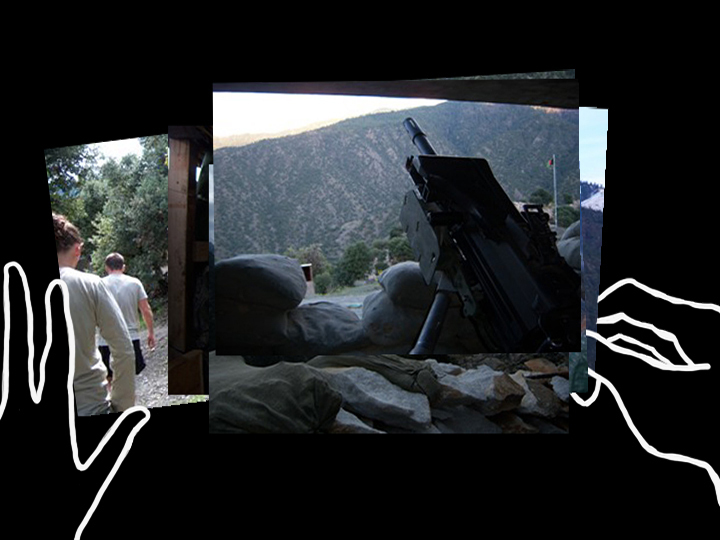 Throughout the project’s trajectory select venues which have featured parts of the work include The Velaslavasay Panorama Theater, Workspace, Sea & Space Explorations, &Now Conference of Innovative Literature and Art, Art as Social Practice Conference at UC-Santa Cruz, Angels Gate Cultural Center, Orange County Center for Contemporary Art, Dan Graham Gallery, and VeggieCloud in California. 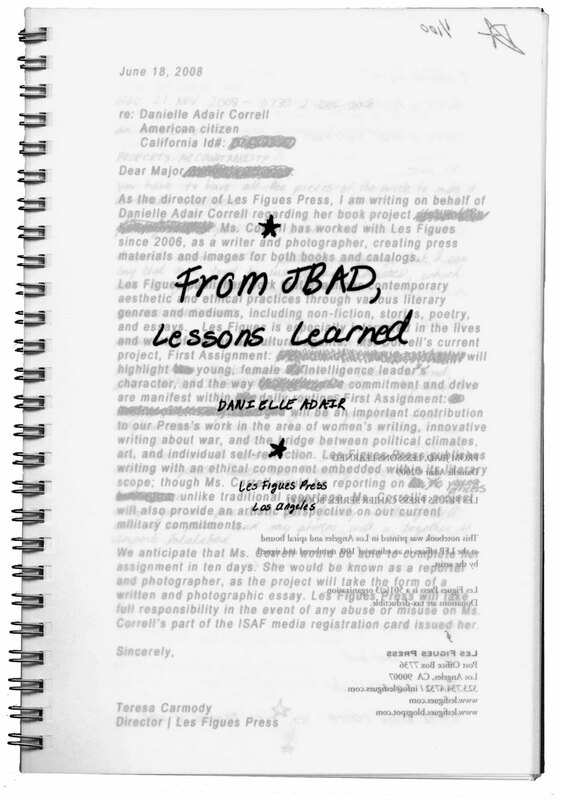 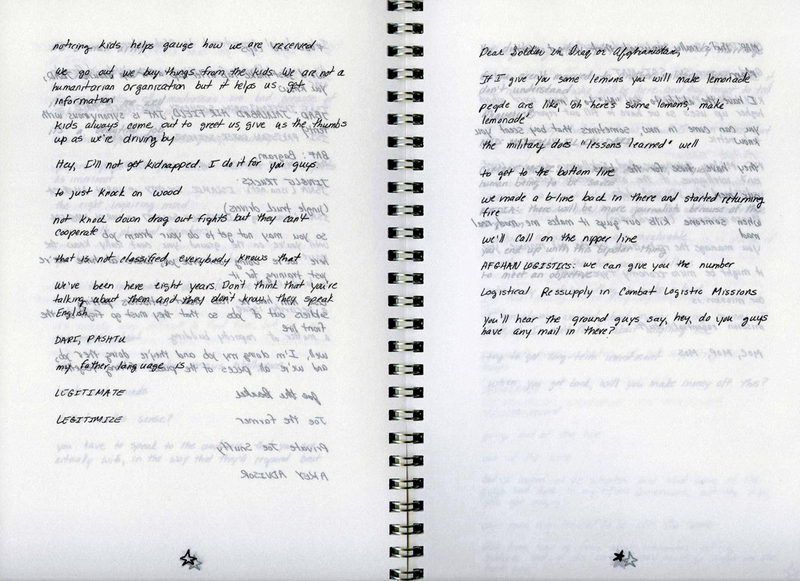 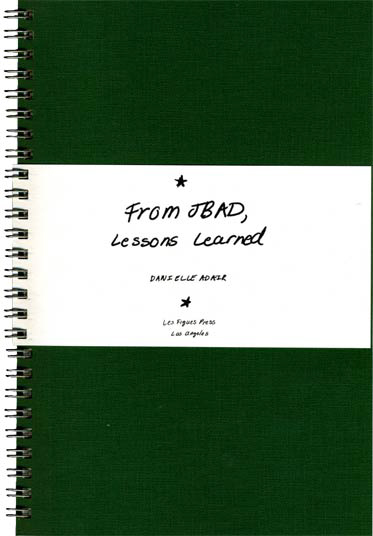 FIRST ASSIGNMENT includes the artist book/ performance score, From JBAD, Lessons Learned (Les Figues Press). 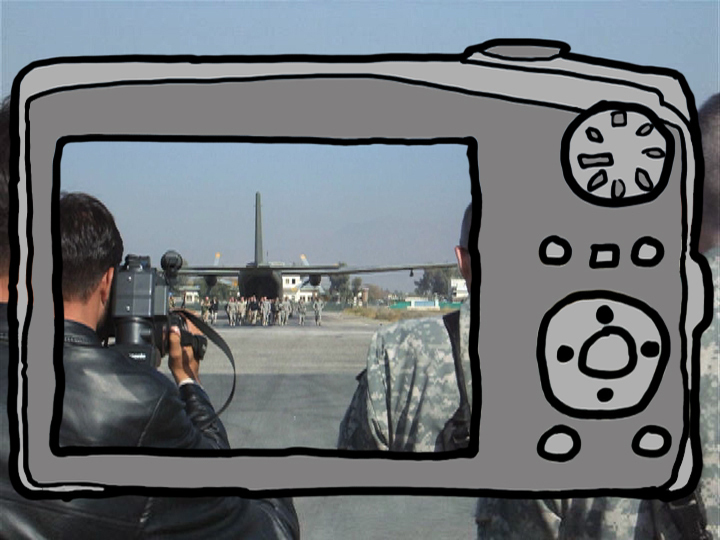 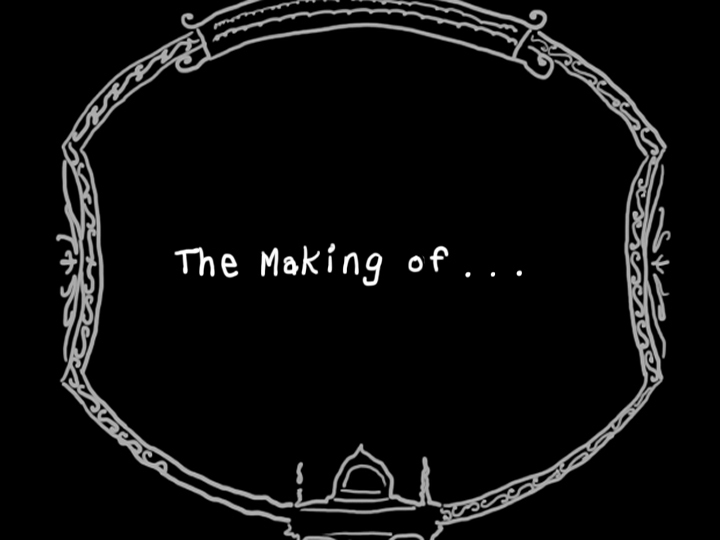 FIRST ASSIGNMENT, trailer, 2’00, audio and color. 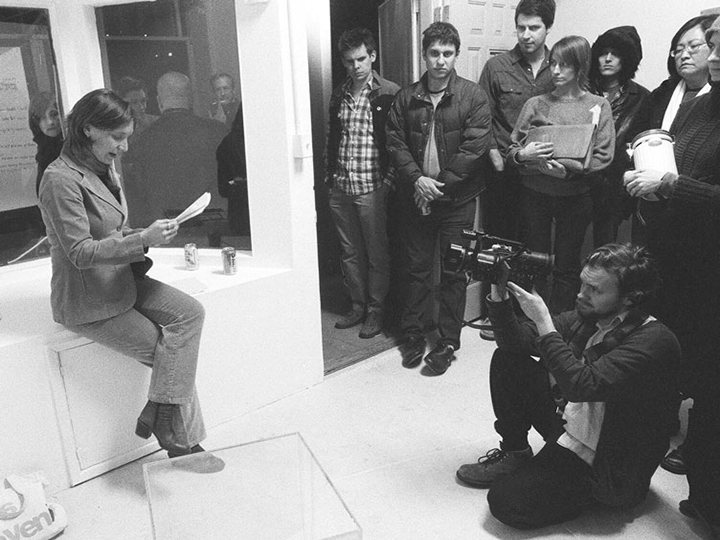 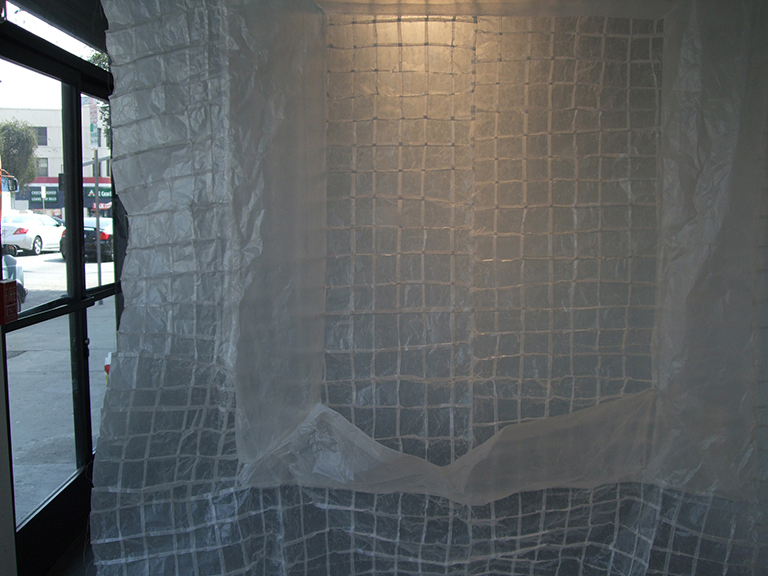 Coverlands, 2009, installation, Workspace Gallery, Los Angeles.